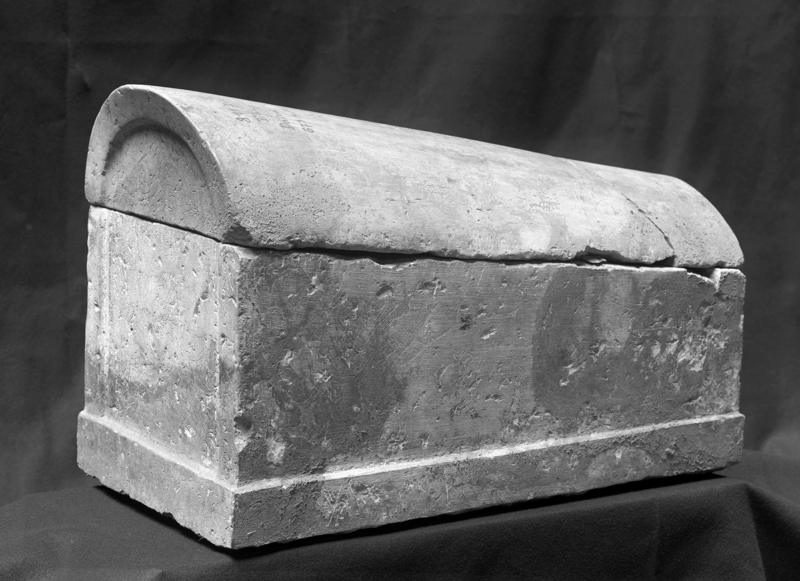 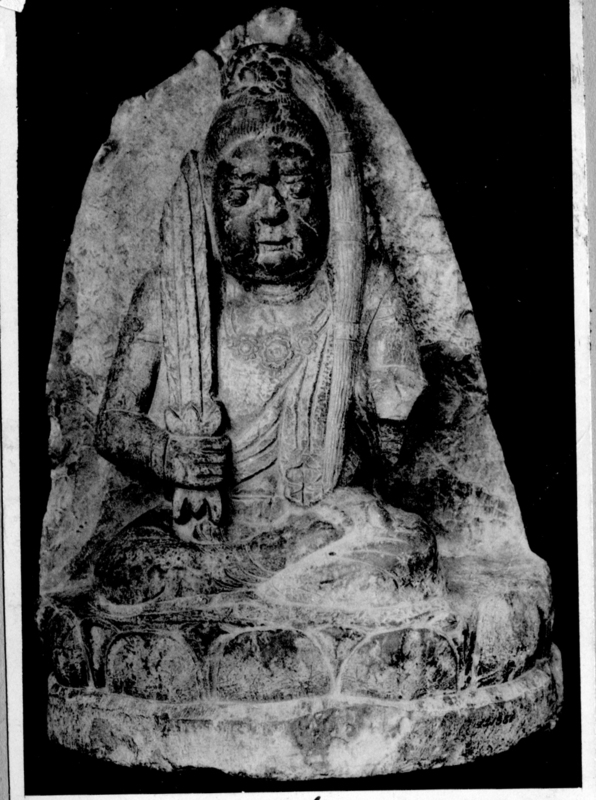 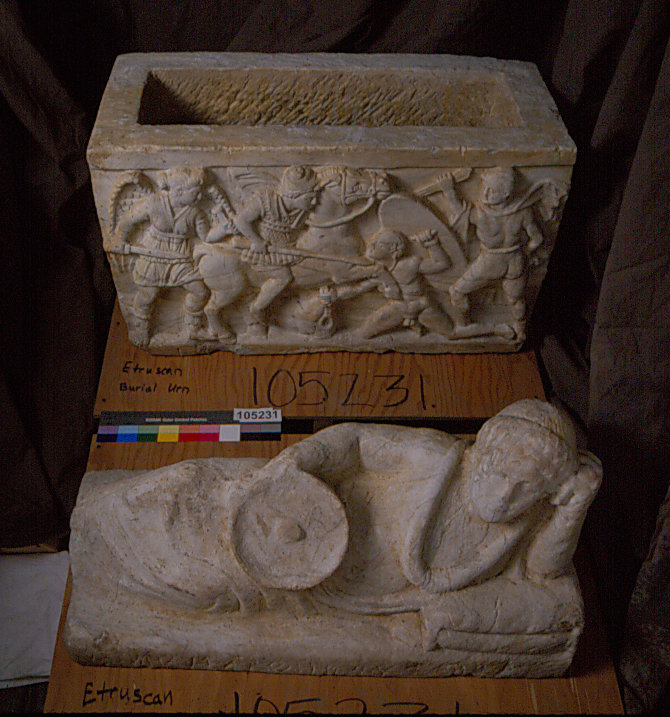 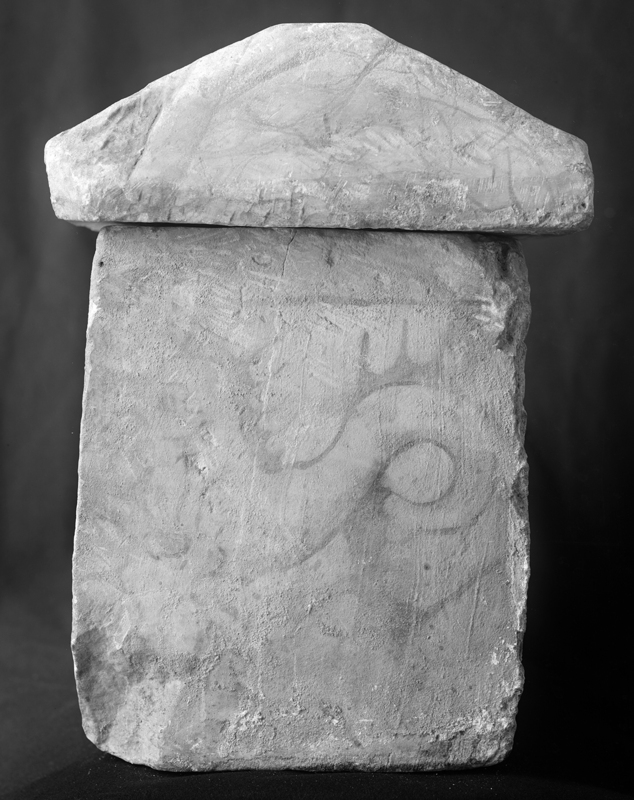 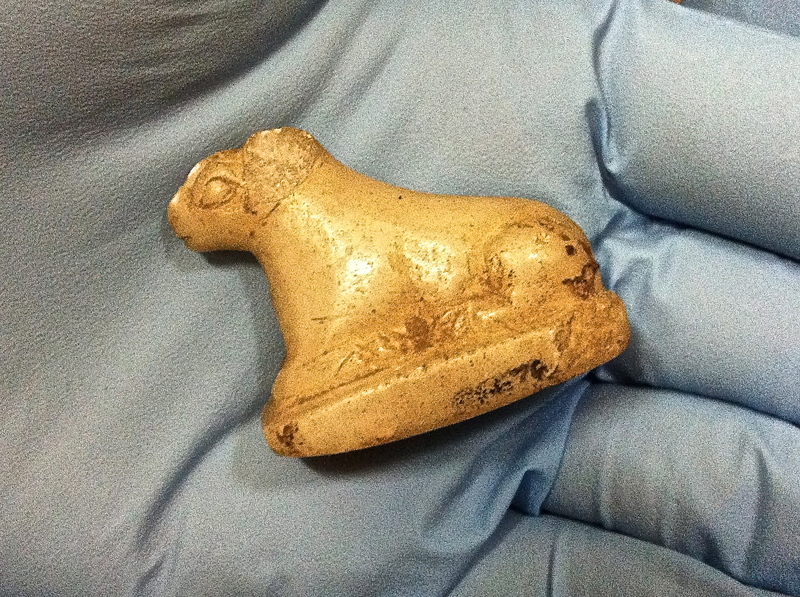 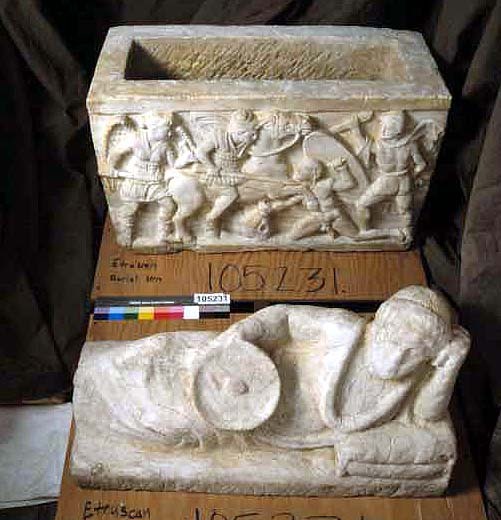 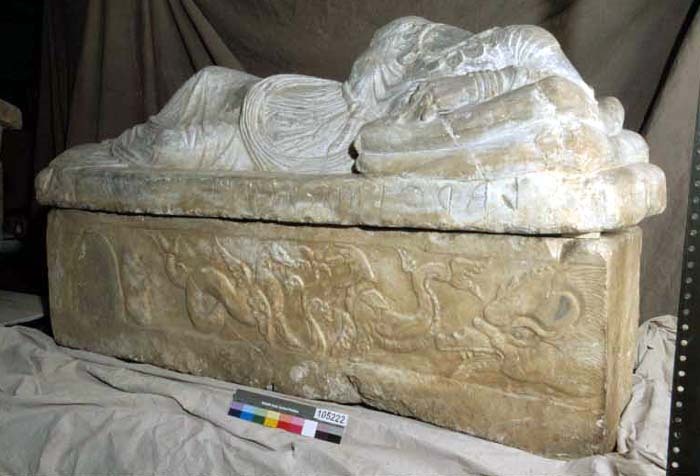 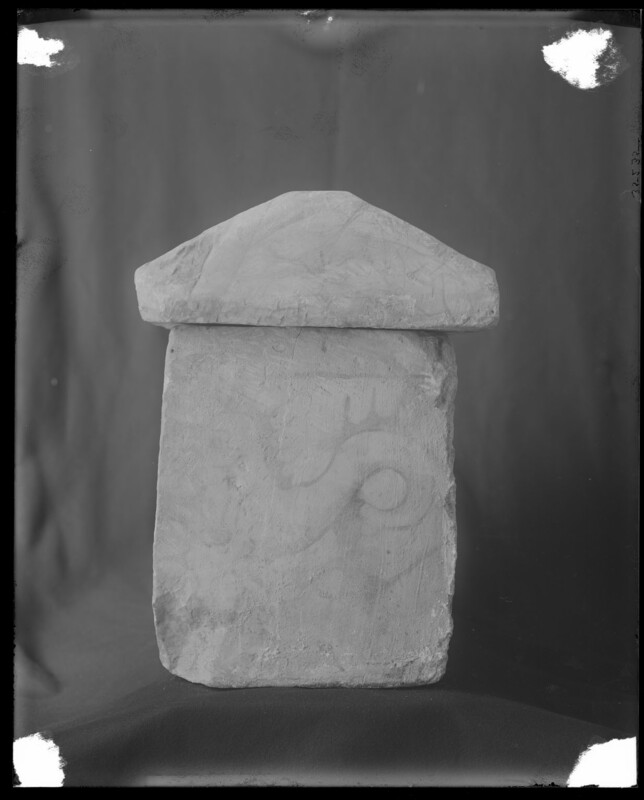 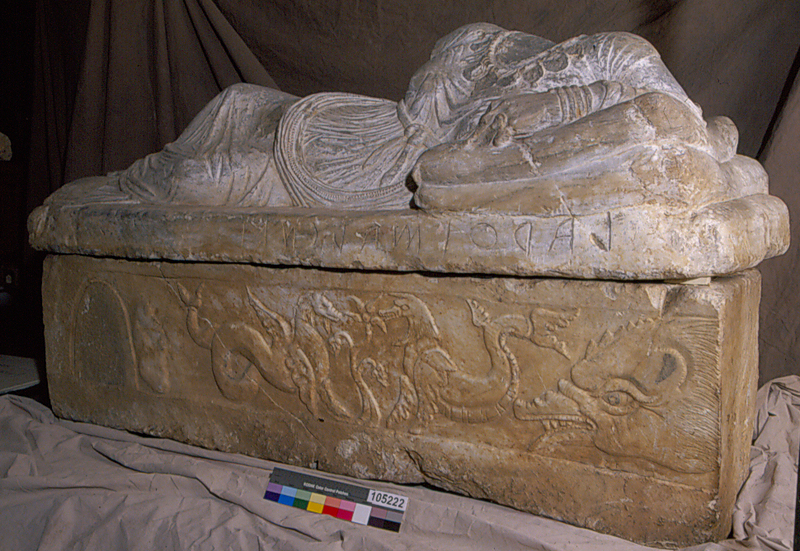 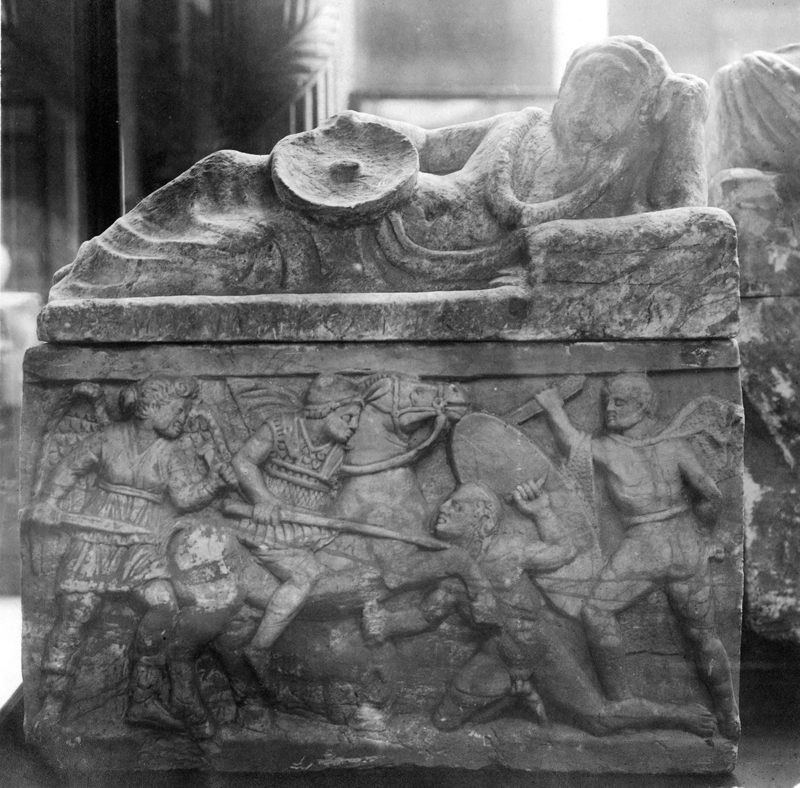 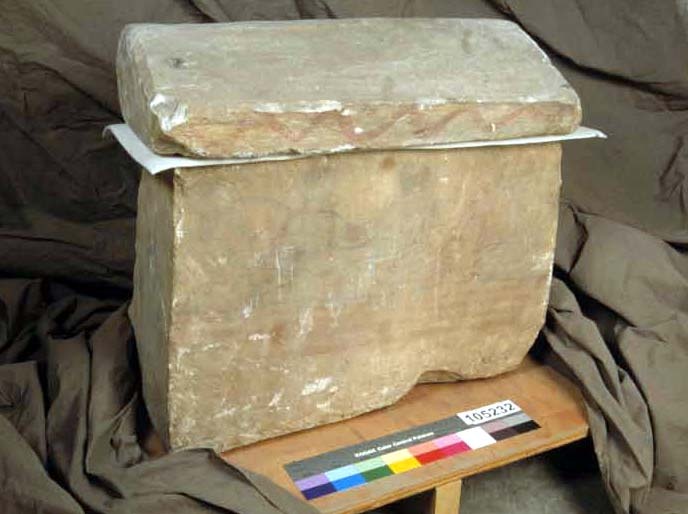 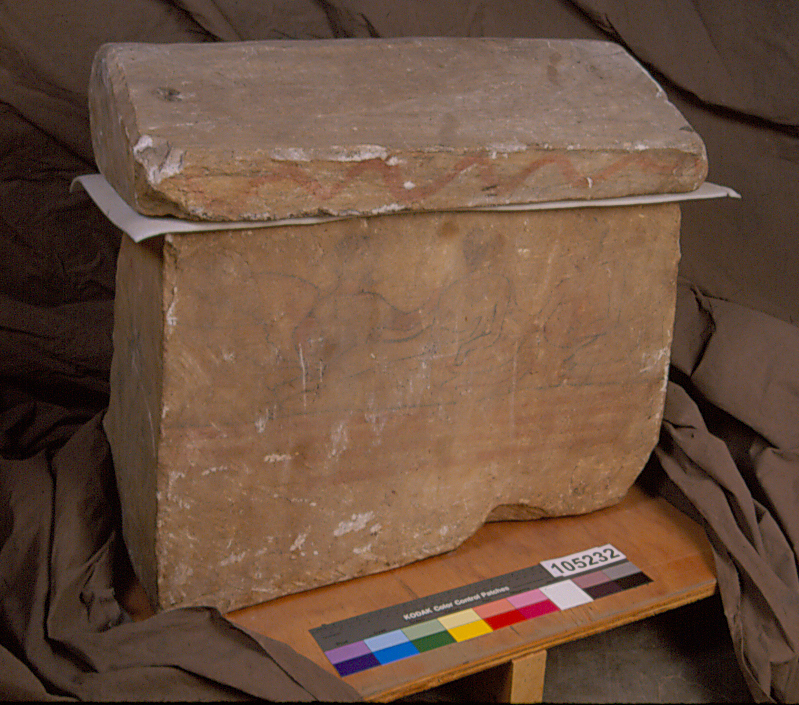 Description: sarcophagus lid (broken into 2 pieces), Name: Sarcophagus of stone (marble?) 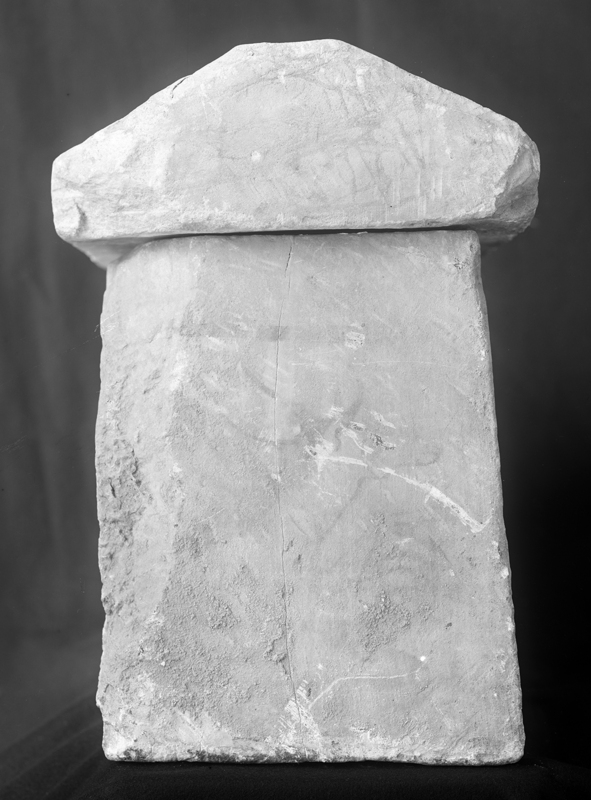 thick heavy oblong body. 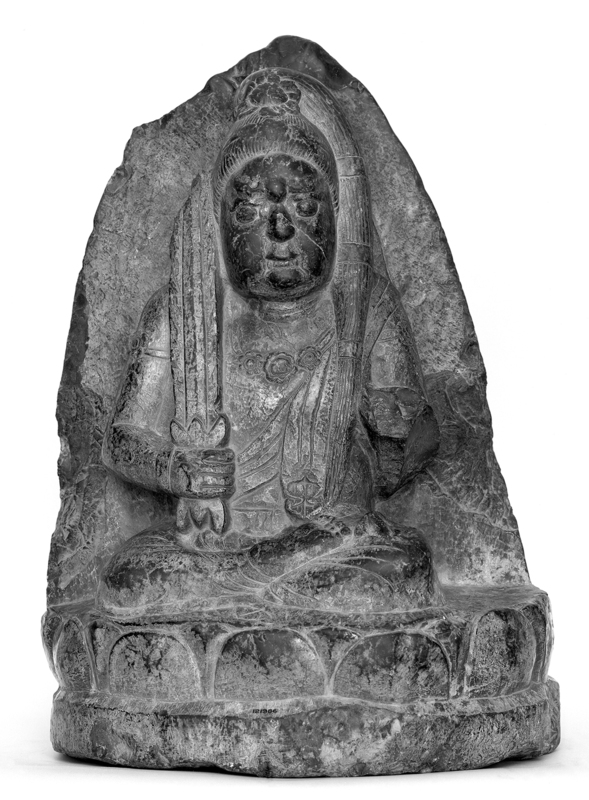 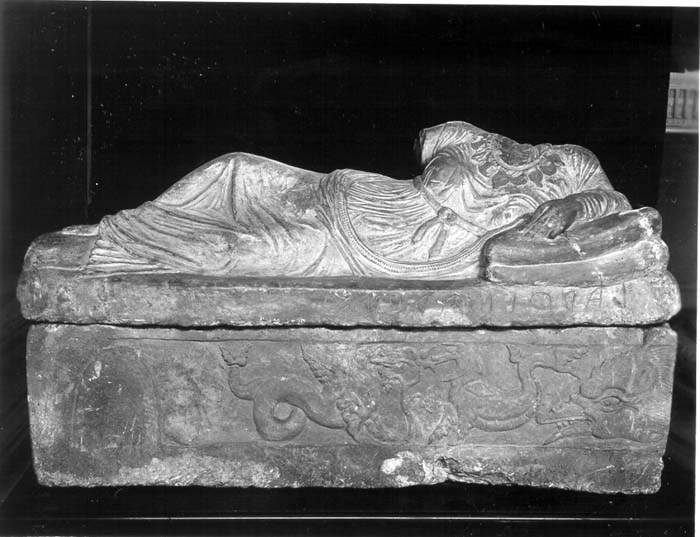 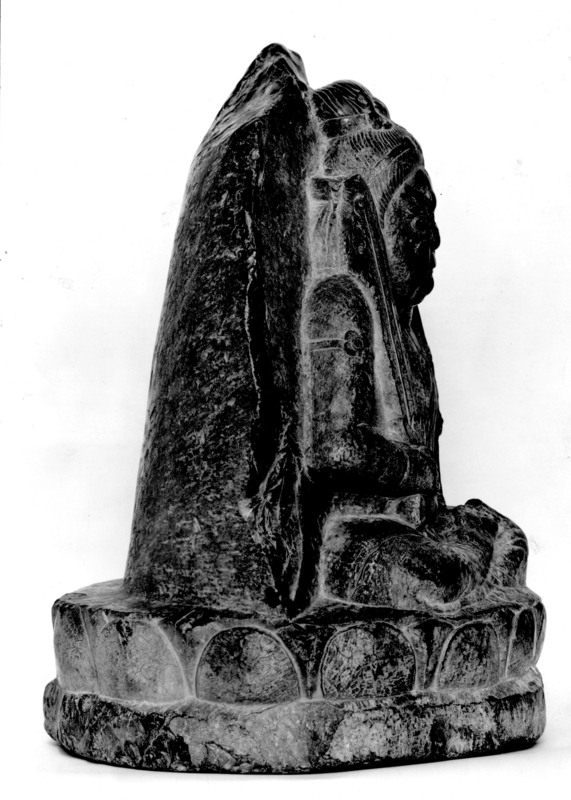 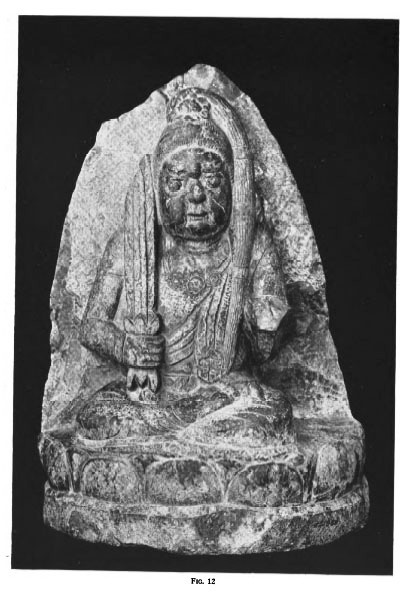 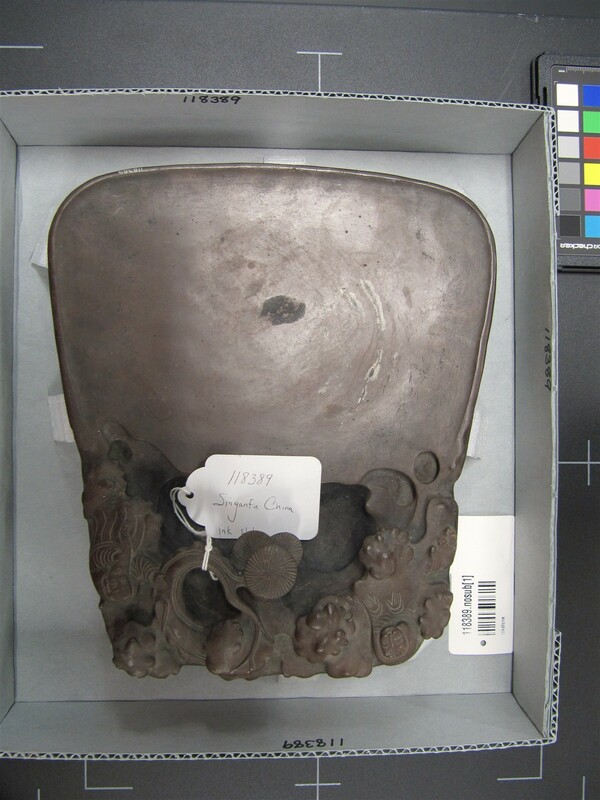 Lid surmounted with reclining female figure, head and one hand of which have been removed.